Surprise! We won the General Mills 150th Anniversary Surprise Grant for $20,000! Heartfelt thanks to Kathy McElhiney Ballance for nominating us! It literally takes a village to build a charity as awesome as ours and each one of you, volunteers past and present, have contributed to making Seeds of Hope what it is today. Thank you for your continued support and love! 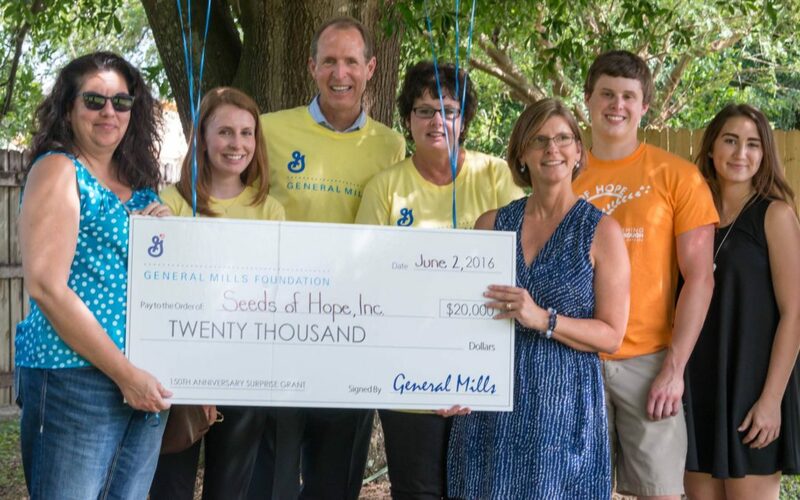 Food to people in need and meaningful community service hours…Thank you General Mills for supporting our mission! Proud of what our community has built and continues to build!